Specialization: Life Transition, Trauma, Depression/Anxiety, Acute/Chronic Disease, Grief/Death/Dying, Negative Self-Image, Pre-Post Natal Adjustment, Abortion, Self-Empowerment, Relationship Challenges, Path and Purpose, Intuitive/Spiritual Growth, Meditation and Healthy Lifestyle. You are divine intelligence, a mystery begging to be known. Your perceived limitations and imbalances are a sign post into the places within your being that need to be unraveled and unsoiled, allowing your true essence and vibrancy to be reclaimed. 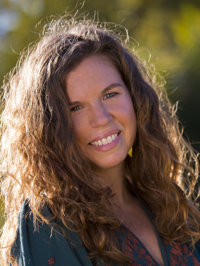 At Seeds of Satya, Kari guides her clients to plant seeds of truth through Depth Hypnosis, Spiritual Counseling, accelerated energy techniques and meditation. She has various events throughout the year that can be found on her website. Kari also holds a yearly summer rite of passage program for girls “Earth Into Truth”, as well as a yearly grief workshop for women in the fall titled “Grief Alchemy”. Whether you are navigating trauma, life transitions or spiritual growth, Kari will help you come into greater harmony and peace.